Thank you Professor Rah! I have been disturbed by the political dicourse and the arrogance of one or the other candidates in terms of deciding for others in the world. Absolutely, but if God wants to use America as an instrument of hope in the world we should pursue that calling with humility. Pride comes before a fall, and America will fall one day; but i think there is much to be proud of before that day comes. I was not born in America, my family immigrated here when I was a kid, so I feel like I can say with some objectivity that America is one of the most wonderful countries the world has ever seen. I don’t agree with the way Obama has presented the US the world, e.g. returning the bust of Winston Churchill to Britain. That was rude at best. Sounds like it was complicated because there are two busts of Churchill and there was an extension on the loan and so forth. Regardless of the details, I guess its easy to get sucked into these petty controversies. I’ll be really glad when this election is over because I feel pressured to pick a side and worship the one candidate and denigrate the other. Am I the only one? This is really frustrating. Thank you for the fact check. Prof Rah, currently I am reading “Many Colors” as part of my curriculum, Part I caused a curiosity to hear further of your opinion. I have felt torn in how to vote based on my biblical views. 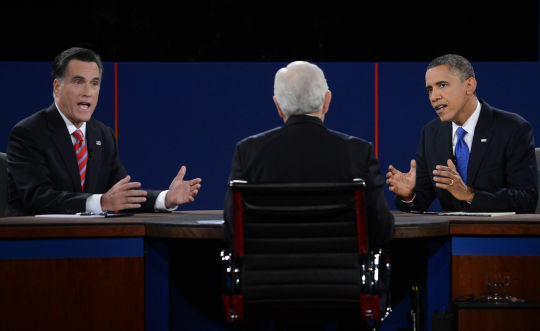 I have made up my mind but I was still perplexed by the dialogue used between the candidates. This race is going to be close, however, I can stand assured that God is ultimately in control. Thank you for articulating something that many of us think and feel. Yes, America is a great place to live. There are opportunities here that simply don’t exist in other places. But, when we try to qualify our existence as something we are not, i.e. Chosen by God, (does anyone remember Manifest Destiny? ), we are in serious danger.